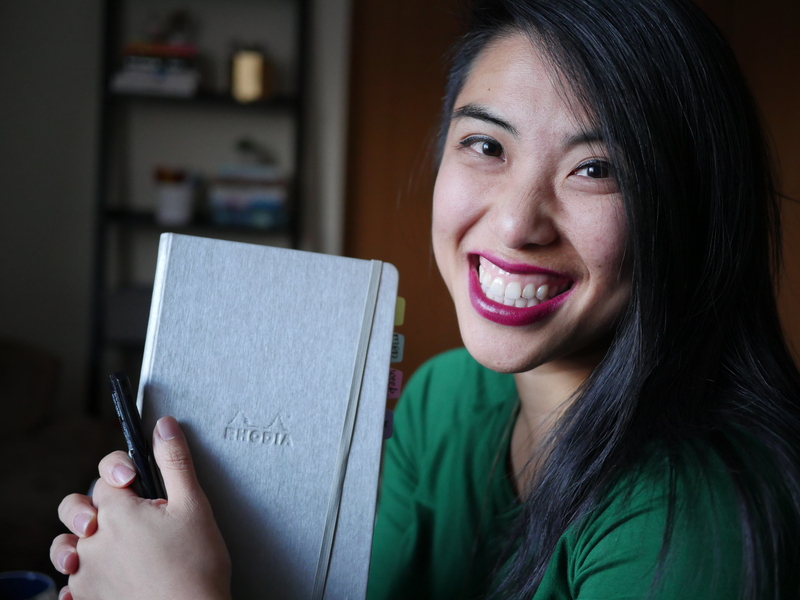 Notebook lovers, you’re going to love today’s post – I got some awesome goodies from Erin Condren to share with you today, most notably their TakeNote journals. They did send me the product but all my opinions are my own and I always endeavor to be honest in the information I share with you! If you have questions, you can read about my disclosures here. As bullet journalists we’re always looking for different notebooks to try – but often we can’t get our hands on one before we buy, so take a listen to the review I’ve done about this dot-grid notebook in bound and coil versions. This paper holds up quite well to the main different pens I threw at it! These notebooks come around the $20 USD price point, which makes them comparable to the Leuchtturm and Rhodia notebooks – there are fewer pages but some other fun add ons that you don’t get with the others. Mostly, their notebook covers are gorgeous and you get personalization as an option. If you’re thinking about making the leap, get $10 off your first purchase (affiliate link). What do you think? What’s your experience been with this notebook? Let me know down below! Is there a code to use for the $10 off? That link just takes me to an area to set up an account, which I did but no discounts showed up in the cart. Thanks! Hmm! I’ll look into it Shawna! Thank you for this! I love the bigger size, the color, but wish there were more pages … I have a Peter Pauper Press which I love b/c of the paper quality/much better than traditional BuJo’s, it’s 190 pages and lasts about 9 months. Am really looking forward to seeing how you use, if the coils do in fact get in the way, etc. I guess the main question I have … being a budget minded BuJo’er 🙂 …. is it worth the cost of $30 (plus folder/band expense) vs traditional notebooks? Appreciate it! These are so cute! There aren’t a lot of pages, but that’s not a big deal to me. I love the ability to have your name embossed.